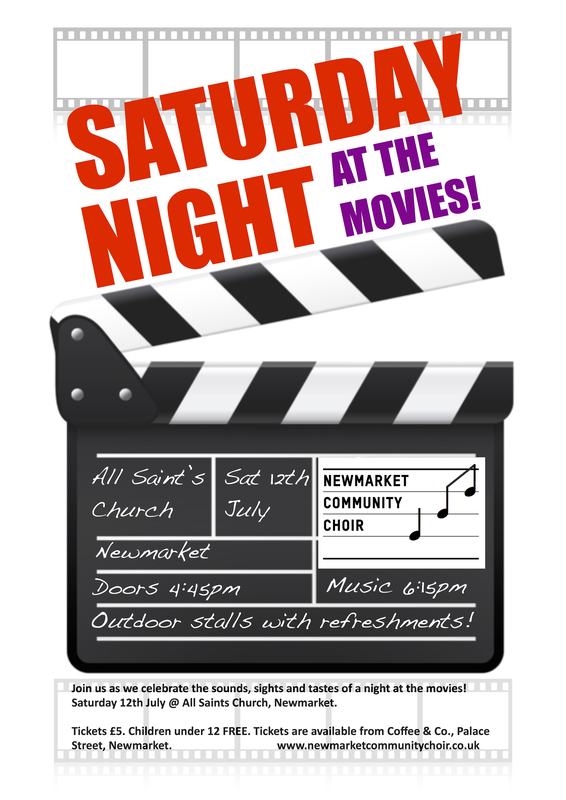 On Saturday 12th July, the Newmarket Community Choir are proud to bring you an evening of songs from the movies! Backed by a live band and iconic images from the films, you will hear famous pieces from such films as Lord Of The Rings, Rock Of Ages, Shrek and a selection of the, quintessentially British, James Bond themes. Join us from 4:45pm for a perfect family afternoon out! There will be a fete to enjoy before the event with various games to play and prizes to be won and, of course, an opportunity to stock up on popcorn; the perfect accompaniment for the show (6:15pm start).